During several hours, heavy fighting between Daesh and the various Palestinian militias, including their former comrades of Hamas. By late evening, the jihadists controlled most of the camp. But during the night, the Syrian Arab Army deployed reinforcements and Daesh withdrew completely.This article republished from Voltaire Network, 3 April 2015 Underneath is a second Voltaire.net article which alleges the presence of Israeli Mossad agents provocateur in Yarmouk. On Thursday 18 December 2014, Russian President Vladimir Putin gave a Press conference. It included his address which lasted from 9:12AM until 12:38PM GMT. President Vladimir Putin has been condemned by Australian Prime Minister Tony Abott and the Australian newsmedia for alleged Russian aggression against Ukraine and complicity with the alleged shooting down of the Malaysian Airlines Flight MH17. In spite of this not one of the Australian journalists, nor any other Western journalist present put these allegations to President Putin. Roman Tsymbalyuk of the Ukrainian News Agency UNIAN did put those allegations. Both his question and Vladimir Putin's response are included. How many jihadists are there in Syria and Iraq? First published 5 Nov 2014 on Voltaire Net. See also Kobane: the object of all lies (4/11/14). The Syrian conflict, from the perspective of Australian history: In 1942, Australia, with the help of its American allies led by President Franklin Roosevelt, prevented invasion by the Empire of Japan. Much of this was due to the preparedness of Australia's own defence forces, as described in "Armed and Ready" (1995) by A. T. Ross. Read more about How many jihadists are there in Syria and Iraq? 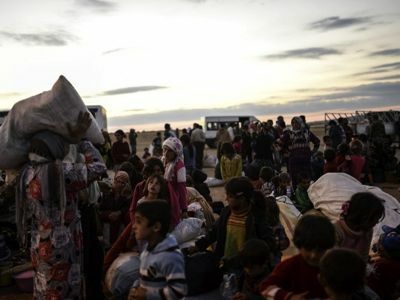 Will Washington succeed in having Northern Syria ethnically cleansed? by Thierry Meyssan (15/10/14). first published on Voltaire Net. At Kobané and in its region, where more than 300,000 Syrian Kurds are threatened with extermination by the Islamic Emirate, everyone can take the measure of NATO’s duplicity. As the commander of the US Coalition declares he is fighting against the Islamic Emirate, a NATO member, Turkey, furnishes the latter with the military and medical assistance they need, preventing civilians from fleeing and PKK fighters from coming to their aid. The tragedy that is being played out at Kobané (Arabic Ain al-Arab) was written to conclude with the announced genocide of 300,000 Syrian Kurds. The Islamic Emirate has already taken control of several parts of the city and many surrounding villages. If the Syrian Arab Army fails to breach the lines of the Islamic Emirate to save them, they will all be killed. Read more about Will Washington succeed in having Northern Syria ethnically cleansed? This article has been republished from the article of 28 July by Thierry Meyssan on Voltaire Net. See, also, other articles on candobetter about Bashar al-Assad and Syria, including What 'dictator' ever willingly faced such media scrutiny? of 11 June 2013. More information about Syria is to be found at the Syrian Arab News Agency (SANA) and Syria News. Includes Appendix: Anti-imperialists who feel obligated to depict the Syrian Government as corrupt. 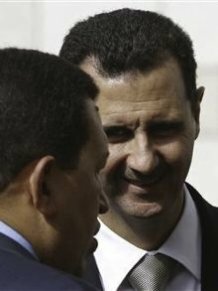 Bashar al-Assad did not want to enter politics. He destined himself to be an ophthalmologist. However, upon the death of his brother Bassel, he returned from the United Kingdom where he was continuing his studies and agreed to serve his country and his father. On the death of the latter, he consented to be his successor to maintain the unity of the country. His early years of government were an attempt to change the composition of social classes in order to make a democratic system possible, a goal that nobody expected of him. Patiently, he dismantled the authoritarian system of the past and began to involve people in public life. Over the past several weeks, for example, [President Vladimir Putin] has accused the Ukrainian government of stripping autonomy from Ukraine's eastern regions, while moving to end local elections in Russia. comment: Evidence of war crimes against civilians and independence fighters in Eastern Ukraine by the Kiev junta is overwhelming and conclusive. As one example see Bloodbath in Donesk: Kiev Unleashes Military Attack, Killing Civilians (27 May 2014) on Global Research. See links at the foot of this article for more sources. No citation is given for Tom Malinowski's claim that Vladimir Putin was ending local elections in Russia. A search of Google and Google News using the search terms "Russia local elections" (quotes omitted) produced no evidence. Published (22/2/2014) on Voltairenet. See also: from Voltairenet: Crisis in Ukraine: blood on the Maidan (3/2/2014), Chairman of Ukrainian Rada resigns under death threat (22/2/2014), from Global Research Russian General: "We Are At War" (24/2/2014), Democracy Murdered By Protest: Ukraine Falls To Intrigue and Violence (24/2/2014), Neocons and the Ukraine Coup (24/2/2014), World War II Monument to Soldiers who Died Liberating Ukraine toppled by Neo-Nazis (24/2/2014), Washington's Hegemonic Ambitions in Ukraine: Sleepwalking Again into A Destructive Conflict (23/2/2014). Under the control and in the presence of US diplomats, the Verkhovna Rada of Ukraine carried out a coup d’état, on 22 and 23 February 2014. 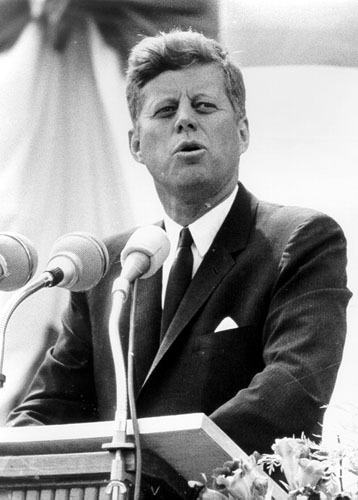 Editorial Introduction: This article, by Laurent Guyénot, first published on Voltaire Net on 2 May 2013, covers critically important historical events which commenced with John F. Kennedy's Presidency (1961-1963) and ended with the 6 Day War of 1967. On 8 June 1967, the fourth day of the Six Day War, even though the United States was an ally of Israel, Israeli warplanes bombed the intelligence ship, the USS Liberty in the Mediterranean Sea and began strafing sailors in the water in an attempt to ensure that there were no survivors. The clear intention was to blame the sinking of the USS Liberty on Egypt and use that as a pretext for the United States to join Israel in its war against Egypt and other Arab nations. The sinking of the USS Liberty was intended to be a classic false flag terrorist attack like 9/11 and in the mould of the Operation Northwoods proposal which had been put to former President Kennedy in March 1962 and rejected. However, the presence of witnesses on a nearby Soviet warship prevented the Israeli warplanes from finishing their work and foiled Israel's plan to attribute this crime to Egypt. This was done with the active collusion of U.S. President Johnson, who subsequently attempted unsuccessfully to cover it up. A war on a much larger scale -- potentially even an all out nuclear war -- was thus prevented. 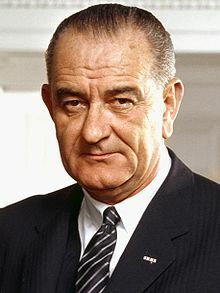 The criminality of the current President Obama and his Secretary of State John Kerry, who was recently caught out lying about Syria, has more than one chilling precedent 17 in the actions of President Lyndon B. Johnson (LBJ).